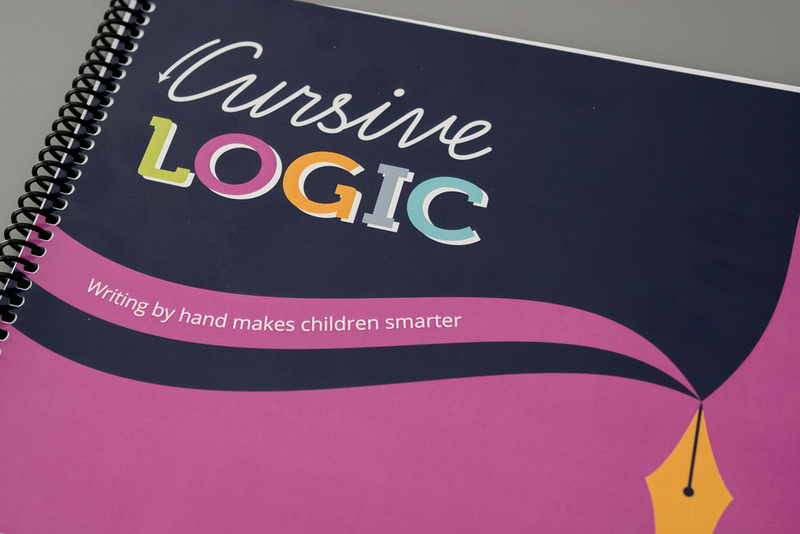 A couple of weeks ago, I linked to the CursiveLogic Kickstarter project, an innovative effort to make learning cursive handwriting more accessible. I backed the project through Kickstarter, but creator Linda Shrewsbury was also kind enough to send me an advance copy of the CursiveLogic workbook to try out. As I mentioned in my original post, my 6-year-old is very eager to learn cursive. Naturally, I’m excited about this. At the same time, getting him started has been a challenge. 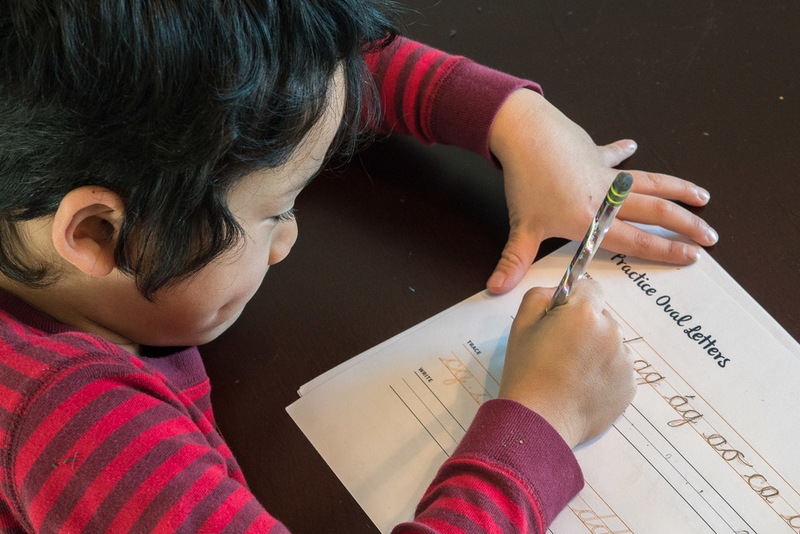 On one hand, he’s a bright kid and is very self-motivated to learn cursive. On the other hand, just getting him to sit still long enough to eat dinner is a challenge most days. Like many kids his age, he also tends to get discouraged when new things don’t come quickly and naturally to him. The latest in a recent string of winter storms here in New England kept us snowbound last weekend, providing a great opportunity for us to dig into the CursiveLogic workbook. After one false start (little brothers can be distracting), we got some momentum going with it. Often, the best way to tackle a big challenge is to break it down into smaller pieces, and that is exactly how the CursiveLogic methodology works. Letters with similar attributes are grouped into four color-coded categories. This approach worked well for us. It drove home the fundamental strokes through repetition without the tedium that comes with writing the same letter over and over. 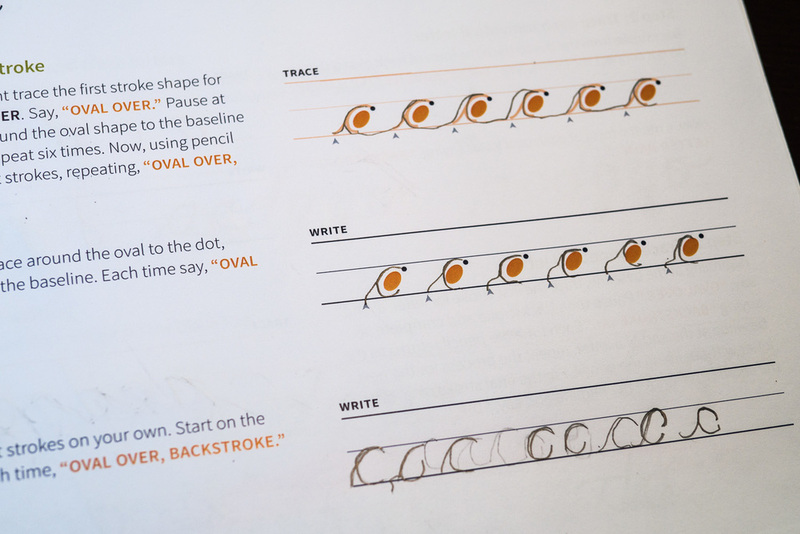 In fact, grouping letters with common strokes together and gradually layering in connections gave my son the “quick wins” he needed to stay engaged. Even though he was only working with a handful of letters at first, he felt like he was writing in cursive pretty much immediately. Another aspect of the system I really like is how it works in some verbal cues. 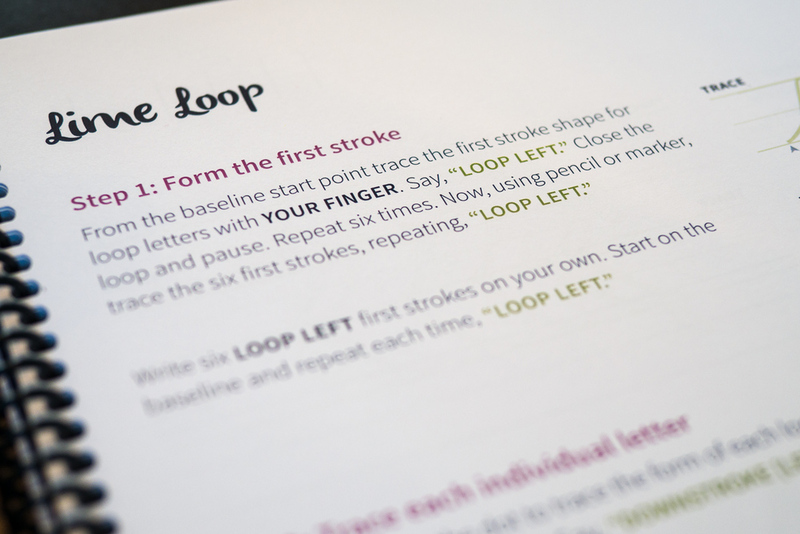 For example, the first section (“Orange Ovals”), includes the mantra “Oval over, backstroke (letter name).” These phrases are primarily intended for the student to repeat to themselves as they are completing the exercises. However, I also found them very helpful in my role as cursive coach. We’re still early in our efforts, and my son didn’t instantly become a cursive expert. However, CursiveLogic gave us a great framework to tackle the challenge together and quickly build momentum. I’m really looking forward to continuing the program with him, and he’s excited to keep at it as well. Thanks in part to some great support from the pen enthusiast community, CursiveLogic surpassed its Kickstarter goal of $25,000 yesterday. However, there is still one day left to become a backer. Pledging your support will get you in on the first edition and bring the CursiveLogic team closer to its stretch goal of an in-person meet-up with fellow writing enthusiasts at the upcoming Atlanta Pen Show.